It’s no secret to anyone; social networks are the hit of the moment. With each passing day, more and more users are adding to these digital platforms and invest more hours of their time in this world. This behavior has come to worry companies, because there are many brands that still do not know how to communicate with the digital customer. So if you do not want to be part of this group, keep reading and learn how to compete on social platforms to achieve customer loyalty! It’s a fact, the world of social networks can be complicated and misleading, since it’s not just about creating an account and waiting for the likes to rain down magically… you have to work to achieve a good engagement and, thus, to be able to increase your sales or, simply to retain the customer! So if you are a community manager, you work in marketing, you are an entrepreneur, you manage a brand or you are starting to use the Internet as a sales channel and you are wondering, how do I start? This article will help you! Here I will reveal some secrets with which you can increase your engagement every month. 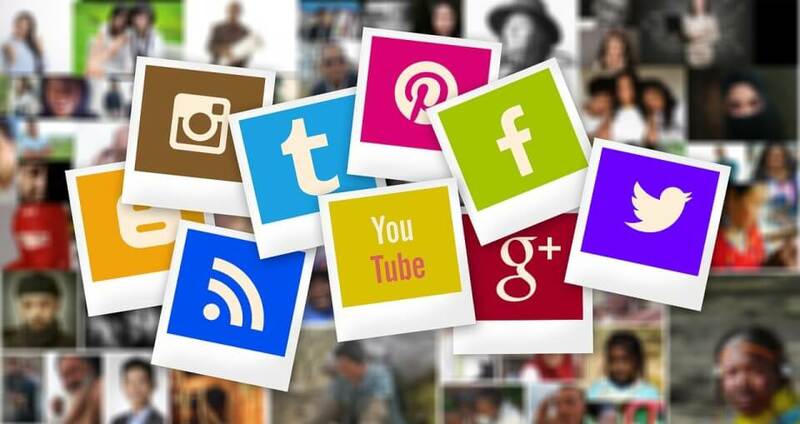 First of all, it is important that you know that content is the basis of all social networks, if you do not have a good content strategy, followers will not increase and you will never be able to build loyalty. However, when I talk about content, I do not mean the content related to your products and services or the promotional content of your company. No. I am referring to an educational and entertaining content that satisfies the user. It is proven that if you share content that informs and entertains at the same time, you will be ahead of 99% of your competition and, honestly, who would not like that? The visual content has become the king of social networks, why do you think Instagram is one of the used networks? The images and the videos adore the user because they generate interactions, inspire, provoke feelings and, of course, sell. So, your business should take advantage of them! But, do not make the mistake of many brands who believe that having presence is enough to start selling or create a community of loyal followers. It is not enough to have many followers if your engagement is not coherent. That is, you should have the same number of interactions, comments, likes and messages. The objective is that users truly interact with your brand, feel involved with it and want to be aware of their publications. The profile is the face that your brand will give the world, so you better put it pretty. Make sure you choose a good photo, write a good description, and write contact numbers and so on. What you must achieve is that your page gives the sensation of a serious company that does things well and makes you want to follow it. It is useless that in each of your new publications the likes are only given by the users who already follow you. When a publication has a good result is when people who did not follow you before begin to notice your content. But how do you manage to reach this new audience? Using hashtags and location in each of your publications. Try to find keywords related to your publication and you will know which are the most popular hashtags so that you can take advantage of them in all your photos. For example, if your company is a travel agency and you will post a picture on an airplane, you can search for keywords or hashtags with the word – or words – that you want. In this case you can search for ‘backpackers’ and you will find thousands of options to use, such as #mountains #avdenturetime #outdoortravel among others. Your options are endless. One tip is to use hashtags that do not have as much traffic, so you can stay longer in the search results. On the contrary, hashtags with a lot of traffic are constantly updated and it will be more difficult for the client to find your photo. Yes, this is how you read it. Forget about the idea of publishing 1 or 2 times a week. Due to the level of competition in the market, it is now necessary to publish daily to offer the user new and innovative material every time he enters the platform. According to studies, regarding publication frequency and new followers, if you publish 1 post per week you will only have a follow-up of 14%. If you publish from 1 to 6 posts per week then it will be 26% and, if you publish 7 or more times, you can achieve growth and engagement of more than 56%. So get to work! Start today with these techniques and you will see how your page’s engagement increases in a month.